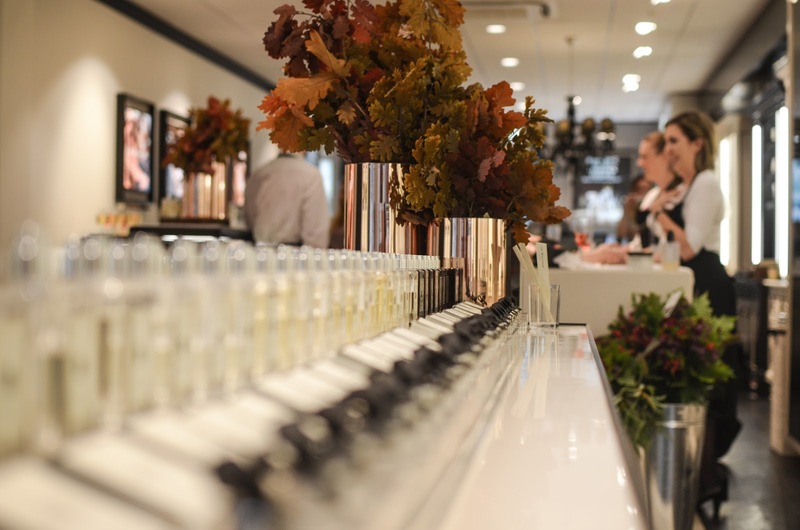 Last Saturday myself and a bunch of lovely local bloggers spent an afternoon at the Jo Malone store in Chichester, being introduced to two of their new English Oak colognes; English Oak and Hazelnut and English Oak and Redcurrant. This is the first time that oak has been used for fragrance and it’s the perfect scent for this time of year. As the weather gets colder I opt for deeper, earthy smells that compliment the fresh autumn air, making these scents perfect for the changing season. The lovely team at Jo Malone talked us through the fragrances, how they produced the scents and how English Oak is supposed to remind us of how we used to feel as children, discovering woodlands and forests at this time of year. We got to to smell each element of the two new English Oak scents. The oak scent alone had the dominant earthy, woody scent for the base of each fragrance, but strangely the hazelnut scent alone had sweet, enchanting aroma compared with the redcurrant that wasn’t as sweet as we expected it to be. That said when the different elements were mixed to create both the English Oak colognes, I much preferred the smell of English Oak and Redcurrant products. 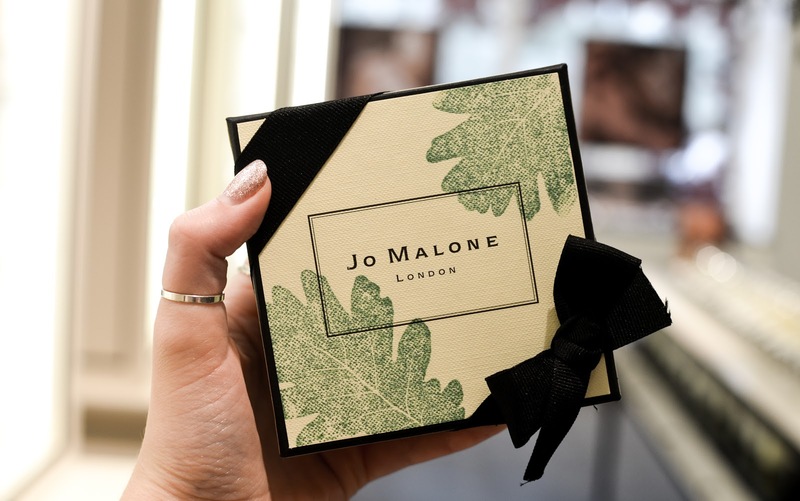 Jo Malone London’s English Oak scents are permanent additions to their collection, available in 100ml and 30ml bottles, along with English Oak and Redcurrant scent being released as a candle, body wash and crème. Shop the new collection here. 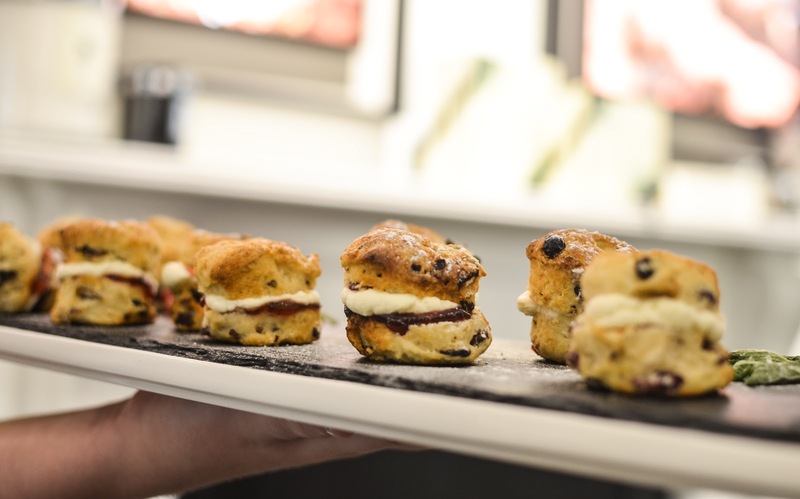 Our afternoon was organised by the wonderful Katie from Katie Kirk Loves, complete with nordic inspired foliage, berry infused Nyetimber wine, mini British scones and a relaxing hand an arm massage from the Jo Malone specialists. We were well and truly looked after by Peter, the Chichester store manager. 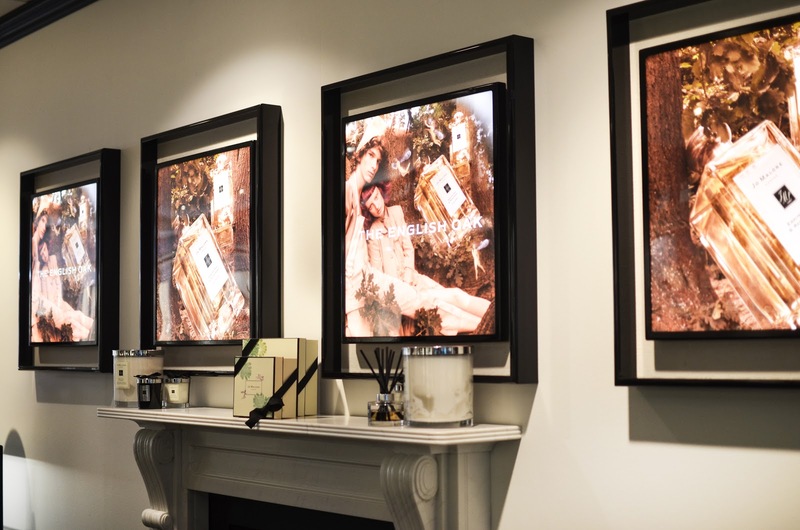 When choosing our fragrances for the hand and arm massage we were introduced to the art of fragrance combining, something that Jo Malone colognes are designed to do. 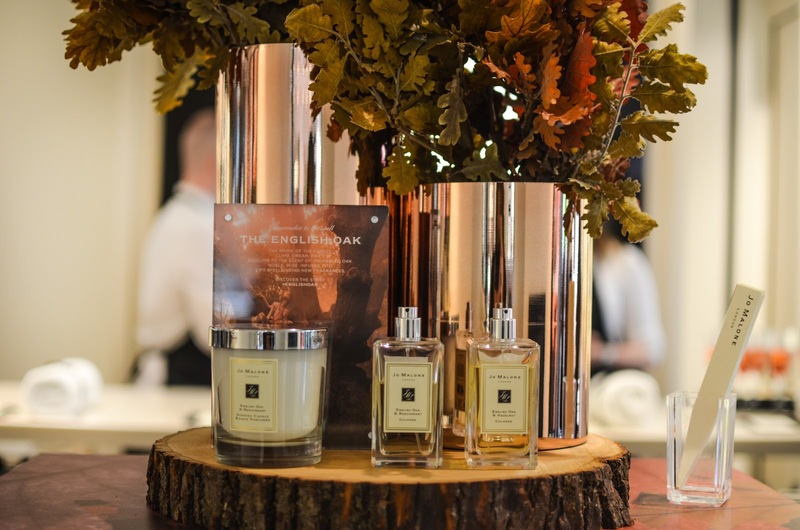 The new English Oak scents could be combined with their classic fragrance body washes and crèmes, which then layers the scents and creates a bespoke combination to suit you. I chose the Wild Bluebell cologne for my hand and arm massage, which is a light floral fragrance with top notes of bluebell and a base note of white musk. This was paired with a spritz of my chosen English Oak and Redcurrant cologne to create my unique fragrance combination. The lovely Chichester store kindly gifted us mini Jo Malone gift boxes with travel sized products inside, including; Peony and Blush Shower Oil (one of my favourite scents), Wood Sage & Sea Salt Cologne and Pomegranate Noir Body Crème, which will combine to create a wonderful scent. We were also shown how to wrap Jo Malone style, something I really enjoyed as I love wrapping and decorating things! 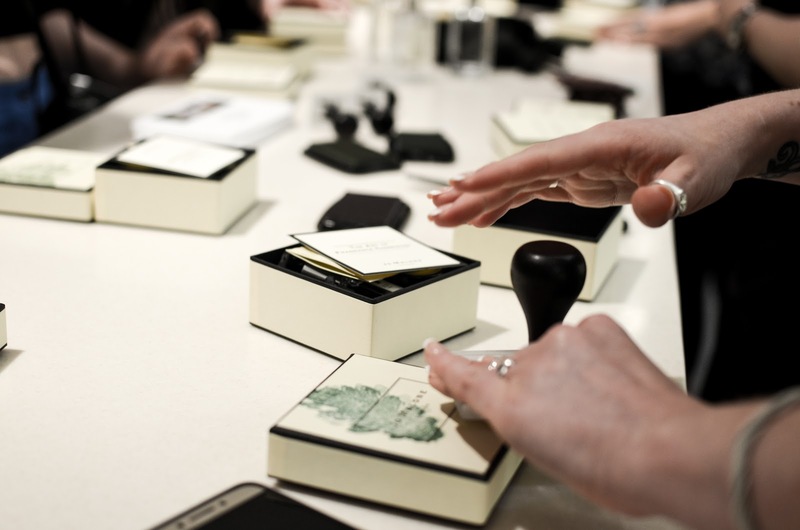 Using the signature black Jo Malone ribbon, Louise showed us how to perfect the bow and wrap it around the box, but not before we got our hands on their autumn inspired ink stamps, just to make it that little bit more personal. 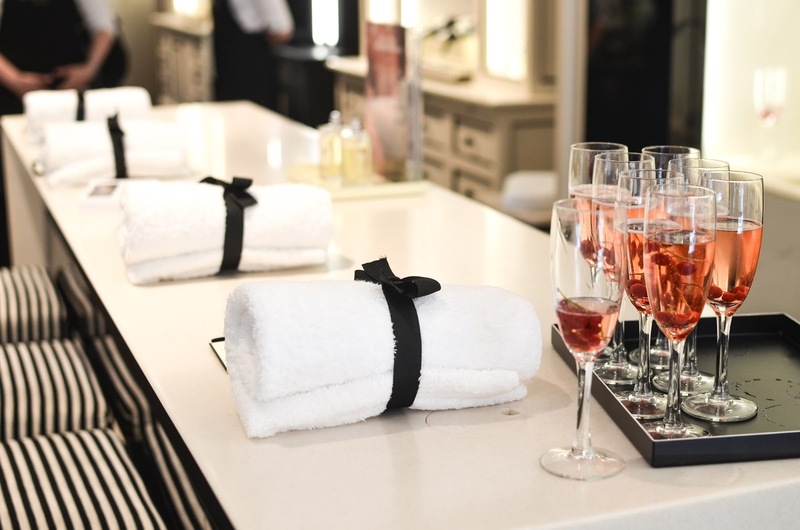 I had a wonderful time being pampered by the lovely Jo Malone team and even more fun getting to meet the loveliest bunch of bloggers, who I hope to see again very soon! Everyone was snapping away, getting to know each other and exploring the fragrances, it was such a nicely organised event. 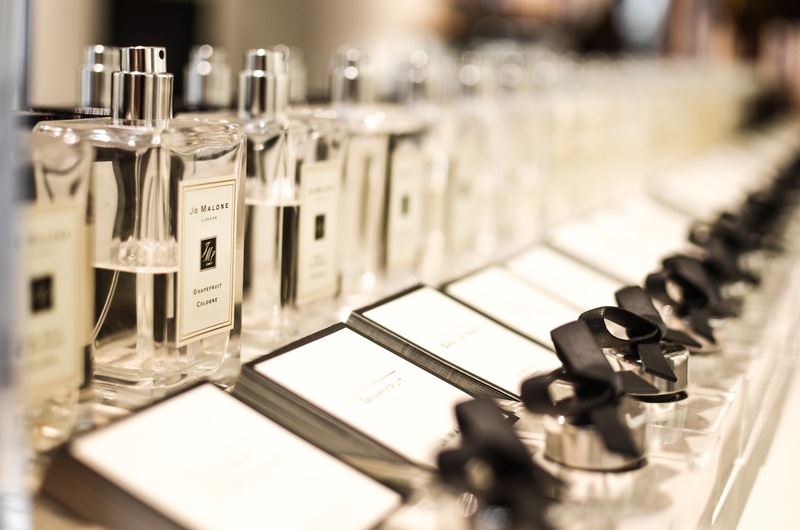 Whats your favourite Jo Malone London scent? Also make sure you check out the other lovely bloggers I spent the afternoon with! 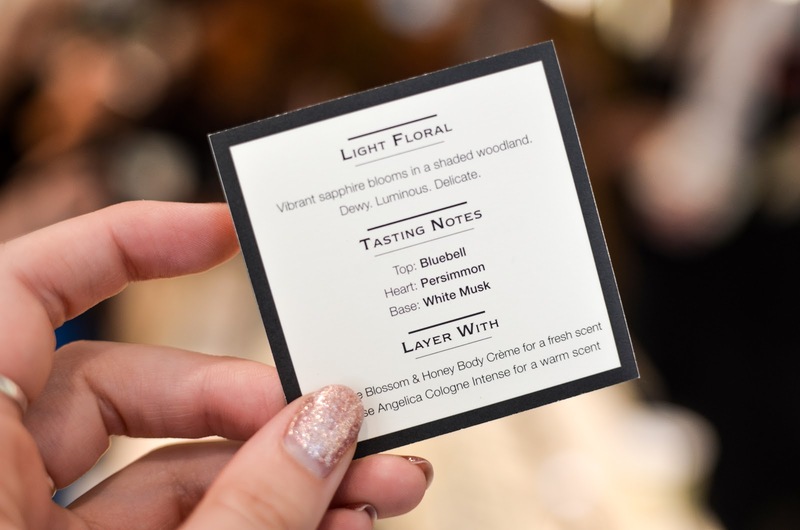 * I was invited to this event by Jo Malone and Katie Kirk Loves, all opinions expressed here are my own.